History was made when Professor Peter Mossey delivered a DARN talk on Wednesday 21st March 2018. That was the first deliberative session concerning the applied or pure sciences since the inception of DARN. “Research and Innovations in Africa: A Model for Stimulating Research Collaboration in Africa” concerned craniofacial research and the giant strides made towards helping cleft lip or palate patients in developing countries, especially Nigeria where he has led and supported medical attention to patients. His talk also illustrated a core focus of DARN: interdisciplinary research especially as providing succour to cleft patients requires different aspects of medical expertise. 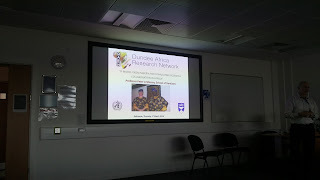 Professor Mossey’s interest in Nigeria was consolidated when he accepted to supervise a Nigerian, Azeez Butali, who obtained his University of Dundee PhD in 2009. Dr Butali has coordinated, with Professor Mossey’s support, the training of medical professionals and successful surgeries in Nigeria. Their successes have also extended to managing bureaucracies in Nigeria and securing the support of state governments (which can be very challenging even for those who are based in Nigeria). 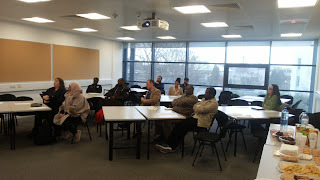 Participants at the DARN event were particularly impressed not only by the work done in Nigeria, but also the sterling mentorship that Professor Mossey provided to Dr Butali. Both of them have co-authored at least 14 papers published by very reputable journals. The talk covered several interesting aspects including the environmental causes of clefts and the overarching effect of poverty in developing countries. Prof Mossey discussed “the three scandals” that provide an apt summary of contributing factors: inequality, infant mortality and invisibility. It is indeed a great irony that an overwhelming number of cleft patients are in parts of the world where patients are most ill-equipped to manage the challenges associated with clefts. 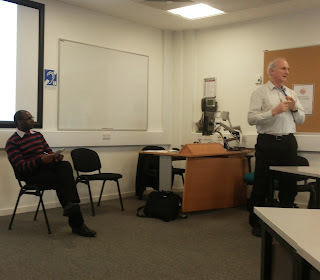 Beyond Nigeria and Africa (”NigeriaCRAN”/”AfriCRAN” as influenced by “EuroCRAN”), Prof Mossey’s research extends to global craniofacial research: “Proportionate Universalism”. The World Health Organisation has provided support for Prof Mossey’s research in other parts of the world. The very positive feedback which has been received from attendees self-evidently underscores the success of the talk. The interactive session was very engaging and there was a chance for networking and hopefully, people will continue to exploit such opportunities as networking is a major benefit at DARN. Many thanks indeed to Professor Mossey for joining DARN to make history.